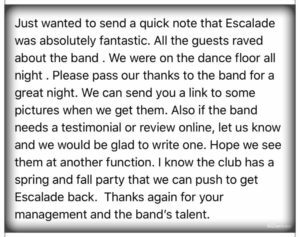 Testimonials – Escalade Show And Dance Band and Phz-2 Party Band! Check out Miller and his ladies from the wedding last night! Absolutely fabulous!!! Everyone loved the Band, weather was perfect, and setting spectacular! My other daughter is engaged and she is beginning her search for a Band. WOW! What a party! We have had so many compliments about what a great party we throw! 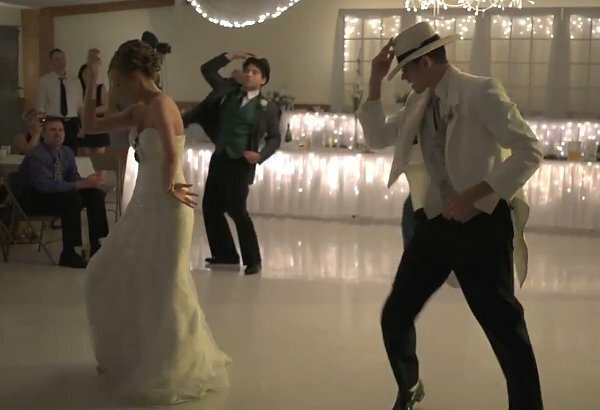 Bailey G, 6/13/2009, Wedding, West Point, MS Performer Response: Escalade Show & Dance Band are what i call a band! they or Professional in every way. I strongly would recomment them for any event call them today they look & sound the part.